Architect designed one of a kind home offering the ultimate luxe. Perfectly positioned with a tree-top view, this elegant family home has been architecturally designed to maximise the benefits of its leafy location. 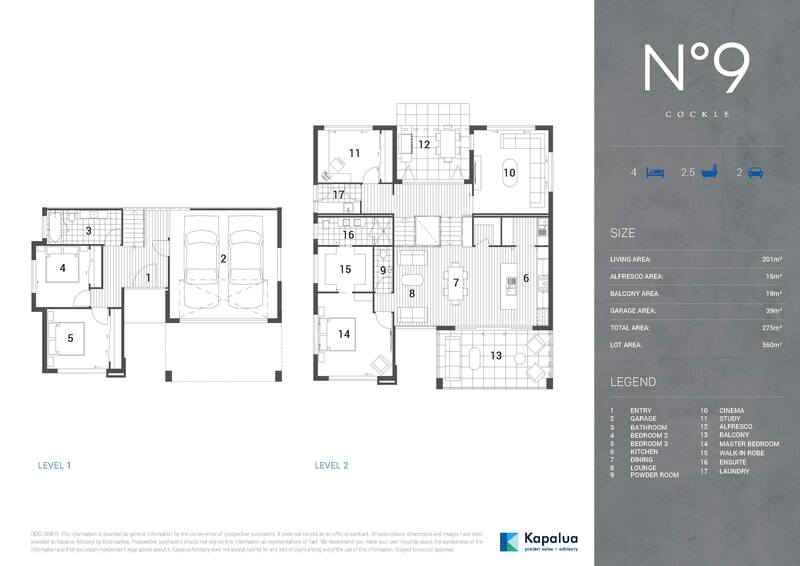 High ceilings, abundant natural light and cooling breezes create a home with warmth and character, while the free-flowing floor plan boasts intelligent use of space and offers multiple indoor and outdoor living areas for a modern family environment. A second storey alfresco area overlooks nearby bush reserve, offering a picture-perfect atmosphere for relaxing and entertaining. This extensive property will be finished with the highest quality fittings and fixtures, including Caesarstone benchtops, timber laminate flooring, black reflective glass and stainless steel appliances and a fully landscaped garden. That pristine new-home feeling is merely a stone’s throw away with construction already underway and an anticipated completion in March/April 2017. 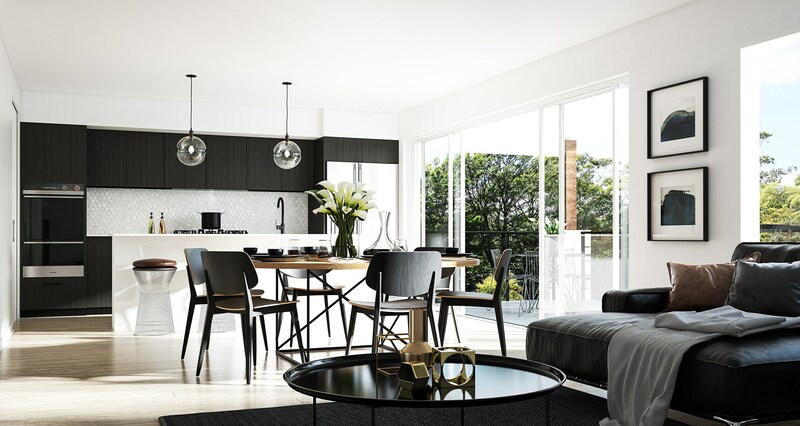 The epitome of relaxed urban living, this striking tri-level sanctuary boasts all the warmth of a comfortable family home, whilst impressive touches of modern living shine through in every room. From the cutting-edge architecture to the clean, smart lines carried throughout the finishes and fixtures, there’s not a feature unmeasured nor an attribute unplanned. 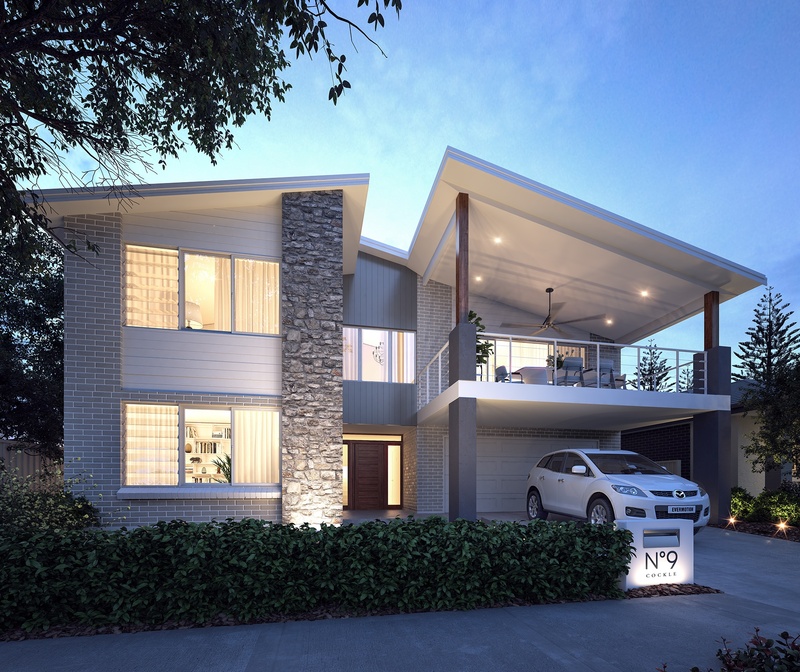 Designed with entertaining in mind, natural bush views are easily enjoyed from the second storey living areas as well as the alfresco patio, where family and friends alike can enjoy a relaxing morning coffee or late afternoon barbeque. Boasting a separate butlers pantry complete with built in storage and second sink, the gourmet designer kitchen is without questions the central hub of the home. Showcasing a stunning mosaic tile splashback, dark, fine grain finish cabinetry, 20mm Caesarstone bench and breakfast bar and finished with modern matt black tapware and handles.